Adenosine triphosphate (ATP) is now established as a principle vaso-active mediator in the vasculature. Its actions on arteries are complex, and are mediated by the P2X and P2Y receptor families. It is generally accepted that ATP induces a bi-phasic response in arteries, inducing contraction via the P2X and P2Y receptors on the smooth muscle cells, and vasodilation via the actions of P2Y receptors located on the endothelium. However, a number of recent studies have placed P2X1 receptors on the endothelium of some arteries. The use of a specific P2X1 receptor ligand, α, β methylene ATP has demonstrated that P2X1 receptors also have a bi-functional role. The actions of ATP on P2X1 receptors is therefore dependant on its location, inducing contraction when located on the smooth muscle cells, and dilation when expressed on the endothelium, comparable to that of P2Y receptors. 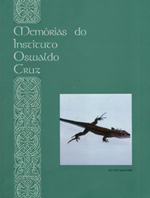 © Copyright 2005 - Instituto Oswaldo Cruz - Fiocruz.